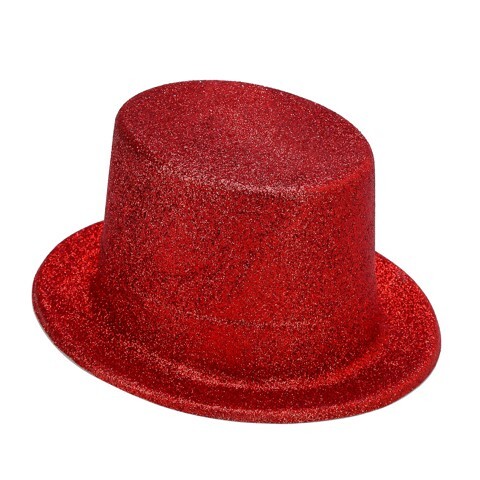 Dress Up Top Hat Glitter Wht. 27 x 24 x 13cm. White. PVC. 46g Packaging: Bulk Pack.